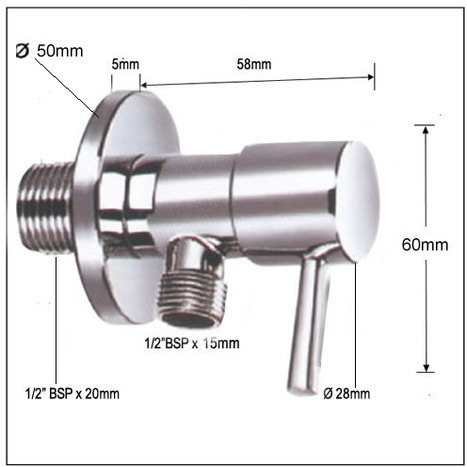 VAL0820: 1/4 turn Ceramic core lever bar Water Isolating Angle Valve. Manufactured in Italy from premium grade Brass with mirror chrome finish and ceramic plate valve. This valve shuts off the water supply to the shower head when not in use, avoids accidental spillage. The valve operates with 1/4 of a turn. For use with our bidet showers. manufactured in premium grade solid brass with 10 microns of mirror chrome plate finish. 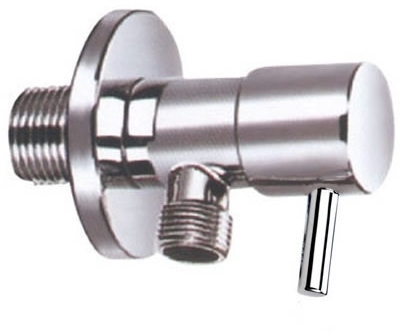 Inlet and Outlet spigots have standard 1/2" BSP shower threads.